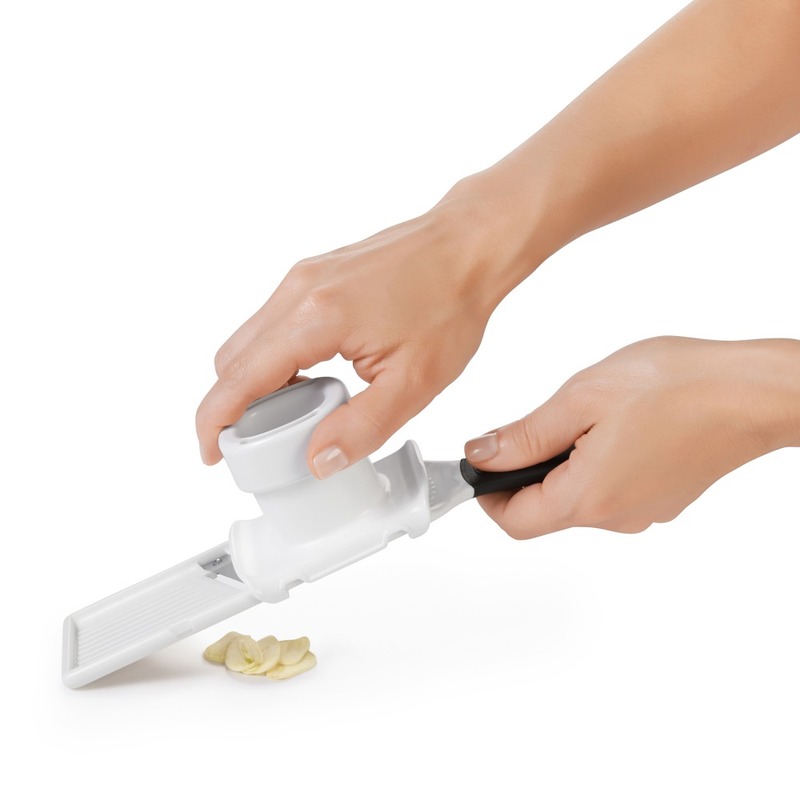 Slicing garlic with the Garlic Slicer is faster and – more importantly – safer than fumbling with a knife, trying to keep hold of the slippery cloves. 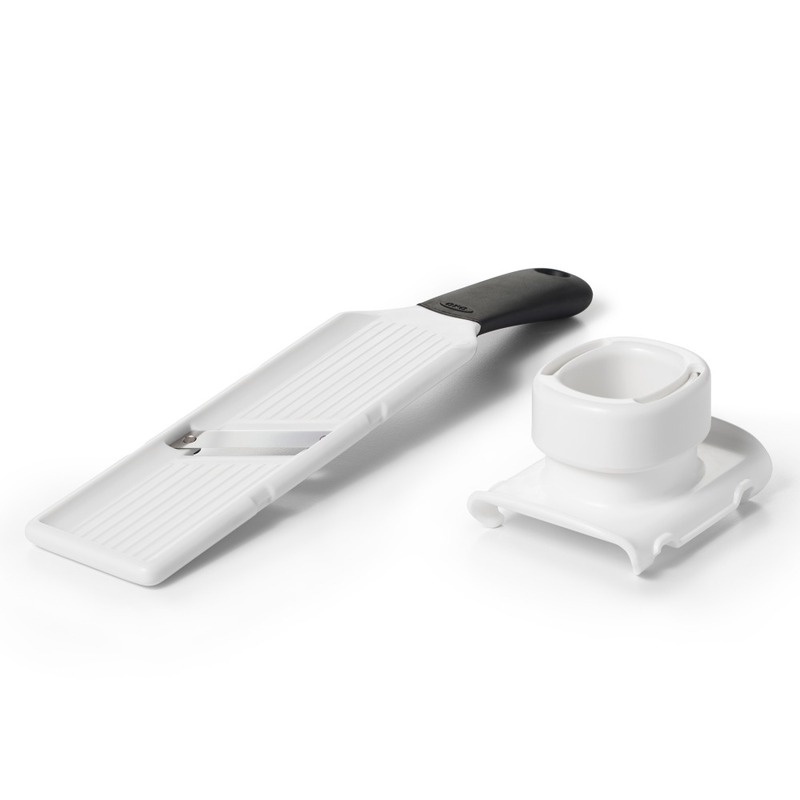 Simply put the clove in the chamber, place the food holder into the chamber, and slide the food holder back and forth. 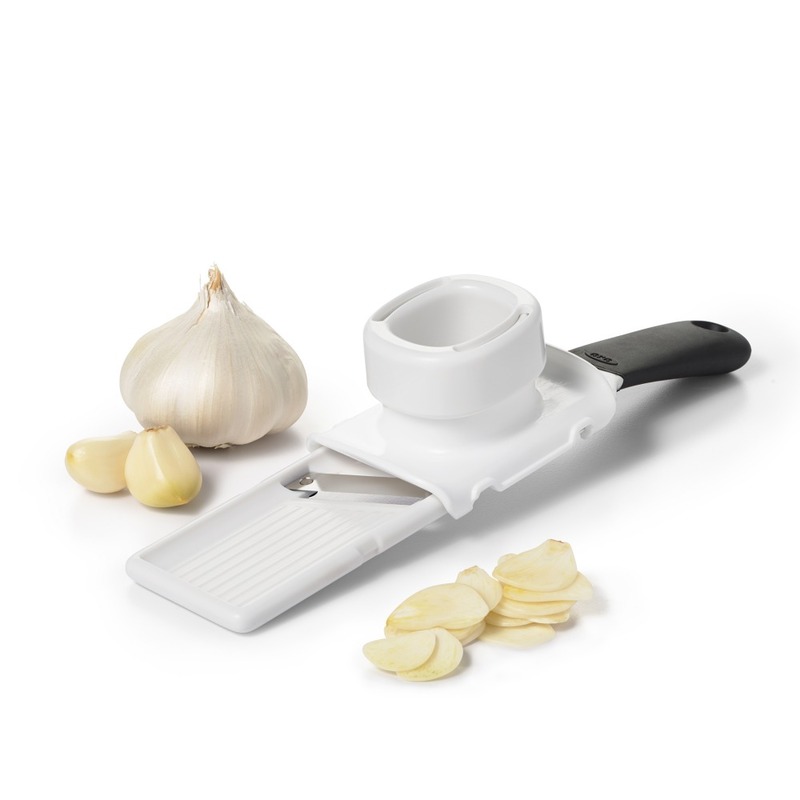 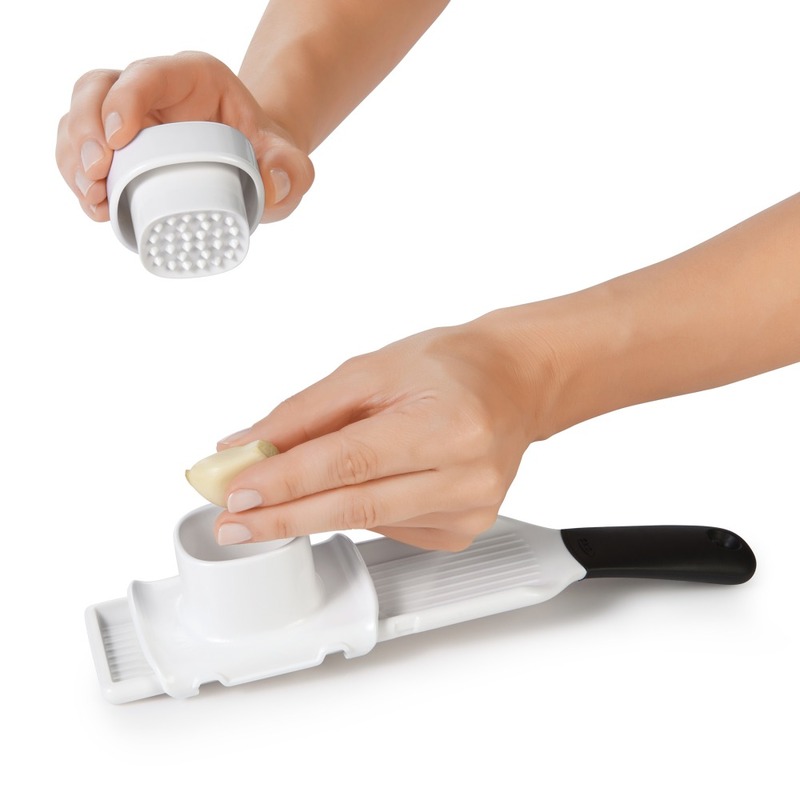 The bi-directional blade creates thin, even slices in seconds, and the textured ramp prevents the garlic from sticking. 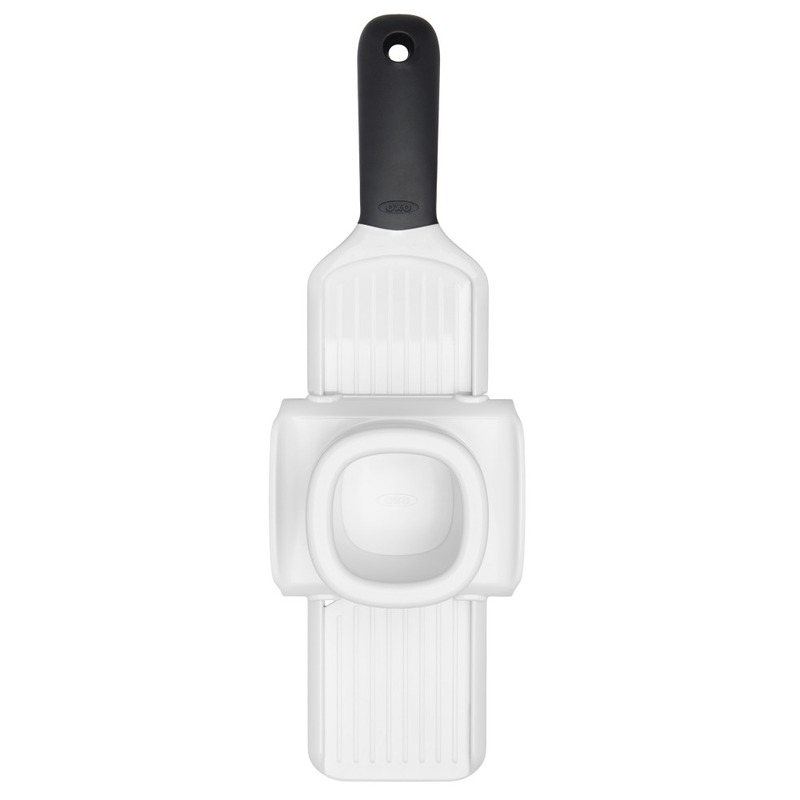 The food holder snaps horizontally over blade and plunger nests inside food holder for safe, compact storage.